I've talked about this one at length on podcasts. 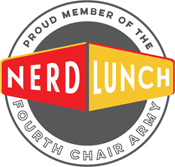 Recorded my initial reactions on Starmaggedon, then got together with the Nerd Lunch crew to dig more deeply into it. But if podcasts aren't your thing, here's the short version. I went into Rogue One just hoping for an entertaining movie that was different from the typical Star Wars experience, and that's exactly what I got. It's a great story and everything a prequel should be. My only disappointment was that I didn't connect with any of the characters as much as I wanted to. I feel empathy for many of them, appreciate the moral journey that Cassian goes on, enjoy what Saw Gerrera represents to the Rebel Alliance at large, and I really really like K-2SO. I just don't love any of these folks as much as I do Rey, Finn, and Poe. I love the setting and the music. That's a lot of fun and the original songs are super catchy and sound right out of the '80s. I also really love the relationship between Conor and his older brother and the themes about firstborn children blazing trails for their younger siblings. I'm not crazy about the assertion that success can only be found outside of Dublin, though. Especially since the movie has to ignore the existence of U2 in order to make that claim. It's a major omission for the sole purpose of forcing Conor down a particular path, when I'd much rather have seen him make a different choice anyway. Very good movie, but as someone who adores director John Carney's Begin Again, I expected much more from his take on my favorite music genres. Another one that I went into more detail about on a podcast. Very nice update. I love the diversity in the cast and these actors are all compelling and great. I also love James Horner's score, especially how he suggests the original Elmer Bernstein music without simply dropping it in whole. 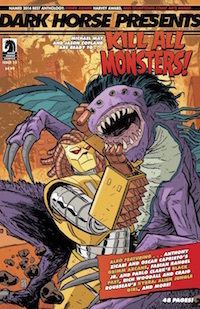 My issue with the movie is that it replaces the complex themes of the original with a straightforward revenge story. Peter Sarsgaard is great as the villain, but the character is so charmless and excessively evil (unlike Eli Wallach's Calvera in 1960) that he becomes less interesting. Still, the way the heroes react to Sarsgaard's character is great and that's where the real story is anyway. I liked it even more the second time I saw it. Everyone's motivations may be simplified from the original, but I don't like the characters any less for it. In fact, I like all of these Seven more than a couple of the originals. Visually stunning with great performances. I loved the sense of humor. Strange has a similar character arc to Tony Stark, but it's different enough to stay interesting. 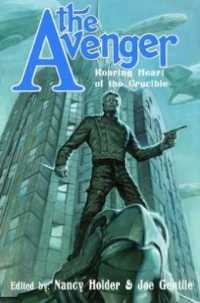 Stark's ego and selfishness makes him charmingly careless while Strange is arrogant and often mean. The similarities seem intentional though and I love the movie's description of the mystical masters as essentially the Avengers of the spiritual world. I was extremely skeptical after seeing the trailers, but I love this movie. I love that it doesn't spend much time on Tarzan's very familiar origin, but relates only what it needs to in quick flashbacks sprinkled throughout the main story. It's made some minor changes to that - mostly around Jane's background - but for great reasons that improved her as a character. And it's the characters that I love the most. This feels like Tarzan and Jane, but a mature, contemporary (even though it's set in the nineteenth century) Tarzan and Jane. They're clearly equals and Jane has a lot to do. She's technically the damsel in distress for quite a while, but the movie comments on that and subverts it. Margot Robbie can pretty much do no wrong at this point. Alexander Skarsgård is a perfect Tarzan. He's big, he's physical, but most of all he's completely convincing as both English lord and wild man. It's awesome, because we meet him in London, then get to watch the civilization slowly fall off of him once he returns home to the jungle. It's simultaneously thrilling and also kind of heart-breaking to watch. The various tribal people are also fantastic. Sidney Ralitsoele in particular plays an unbelievably handsome and charming ally. I expect to see a lot more of that guy. I don't always know what I'm going to get from a Samuel L Jackson or Christoph Waltz performance. A lot of times, they're just doing their Samuel L Jackson and Christoph Waltz things, but every once in a while they'll really go all out for a character. I didn't expect Legend of Tarzan to be one of those times, frankly. I was expecting it to be just a big, dumb, heartless cash-grab with half-hearted performances. But everyone's put a lot of effort into it. It helps that they have strong characters to work with. Waltz' motivations are believable and go way beyond just being evil and destructive. And Jackson has a touching backstory that also gives him purpose in the film and explains his actions. The writers not only get these characters; they also clearly love Burroughs' novels. This feels like a Burroughs adventure. From an alternate timeline perhaps, but the heart is there. And there are lots of references to Burroughs' stuff that I won't spoil. I do have one minor issue and that's with the quality of the CG. It's not horrible, but it's not especially good either. I was able to overlook it though, because I was so pleased with everything else. When Warner Bros announced their plans to fast-track the building of a DC cinematic universe, I was worried for two reasons. First, it would be headed up by the folks responsible for the problem-filled Man of Steel. But also, it sounded like WB was hoping to reap the benefits of a shared universe without putting in the years of character development that Marvel had. That's very clearly seen when I compare Batman v Superman with Civil War. The movies have almost identical plots, with their villainous masterminds who manipulate heroes into fighting each other. But BvS feels forced and unnatural while Civil War is fun and organic. Everything that happens in Civil War flows out of motives and decisions that are believable because Marvel has spent several years exploring and growing these characters. I like all of these people and I understand why they do what they do, even when I don't agree with them. But Civil War's success isn't all due to work done by previous movies. It's just more smartly written than BvS. The source of the conflict between the heroes is complicated and fascinating, unlike the self-absorption and bigotry that drives BvS. The characters in Civil War are way smarter, too. 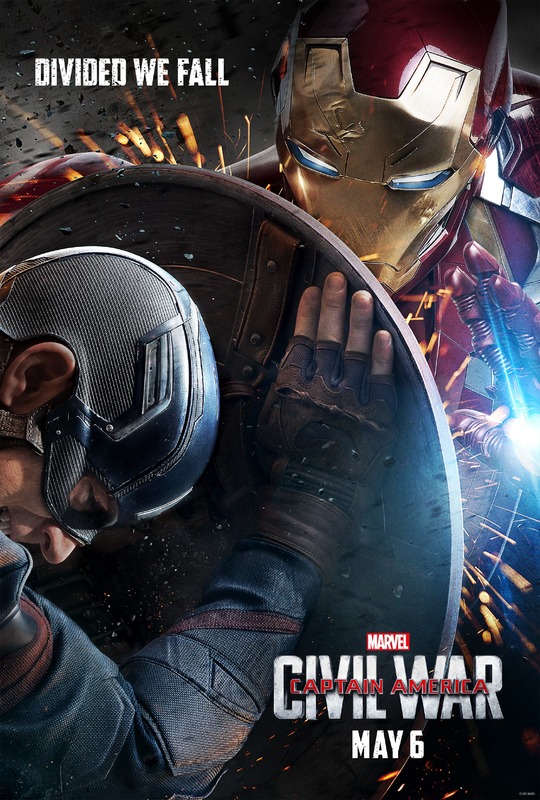 So Civil War really shines next to BvS, but even without that comparison, it's a great time at the movies. 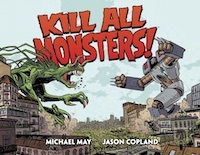 It's thought-provoking, but it's also funny and the fights are amazingly choreographed. This is superheroics at their best. 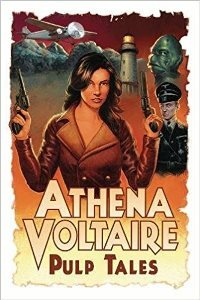 I was totally sucked into this story of a woman who's had to make some hard decisions and now faces the violent consequences. There's some High Noon going on in that it's as much about the build-up to the final confrontation as it is about the confrontation itself. I love that almost as much as I love the way it gradually reveals the characters' pasts and why they currently feel about each other the way that they do. It's all complicated and human; none of it more so than Jane herself. Portman does a great job, as do all of her co-stars. Delightful and beautiful. I'm such a sucker for stories about broken people who learn to connect with each other. Especially when they're as charming and funny as this one. I don't want to say too much and oversell it, but I highly recommend this one. My favorite of the rebooted Star Trek movies. That's not saying anything in comparison to Into Darkness, but I quite enjoyed the 2009 movie and this is better. 2009 did a great job of introducing the alternate timeline and these new versions of the characters, but it's still an origin story. 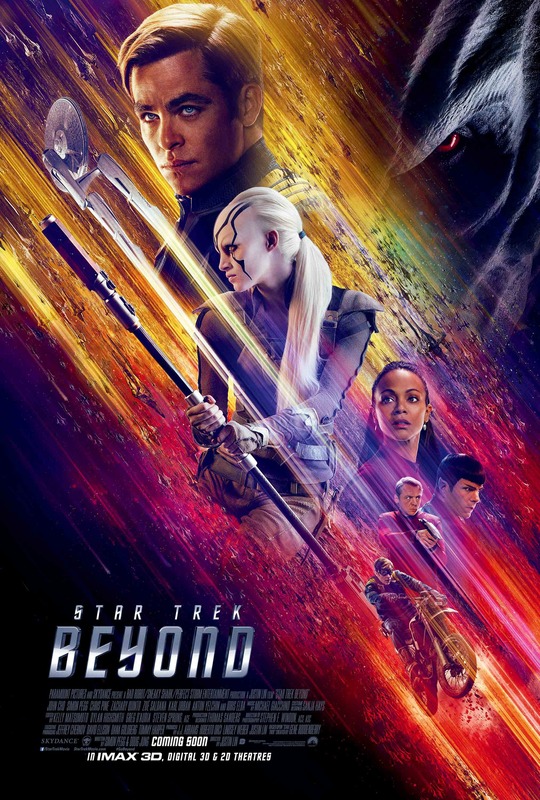 It has to spend most of its time getting everyone into place so that we can have movies like Star Trek Beyond, which is what I really want to see. Beyond plays like an episode of the show, but a really badass episode of the show. It's got everything I want in a Star Trek story: strange new worlds, new life and new civilizations, reflections about humanity, and plenty of action. As much as I hear fans talk about action as if its some kind of necessary evil for Star Trek these days, it's always been a vital ingredient of the series and I love having it in the mix. And speaking of "new life," I have a new favorite Star Trek character in Jaylah. Holy Neck Pinch, she's awesome. I was hoping to love this. I'm a big fan of Disney animated movies when they're done well and the Pacific islands setting is so my bag. Plus, The Rock. But it's even better than I imagined. The movie subverts expectations while still feeling very much like what it is. And those coconut pirates are totally rad. I laughed a lot, I was deeply moved, and the songs are as good as any Disney musical since The Little Mermaid (or maybe Aladdin; in a really long time, is my point). You know how little girls everywhere drove everyone crazy with their personal renditions of "Let It Go?" That was me with "How Far I'll Go." And David and I can't stop singing "You're Welcome," either. I enjoyed Tarzan quite a bit too. I don't know why the critics panned it as much as they did. I wouldn't mind seeing a sequel. I wondered if you'd seen Hell or High Water? It's well made. I enjoyed 10 Cloverfield Land, Don't Breathe, The Witch, although some of those may be from last year. I've not seen many of the others you've listed nor Arrival yet either along with some others I anticipate I'll enjoy. Rogue One: I liked it. My only beef with it was the CG actors. 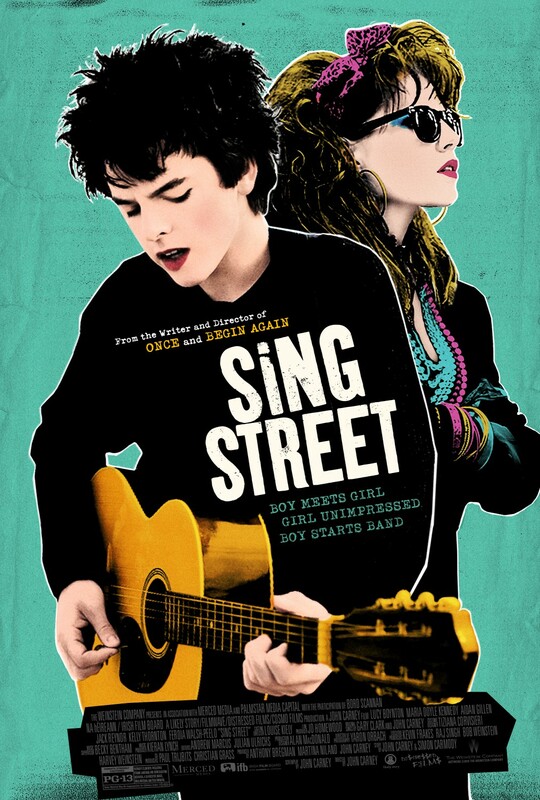 Sing Street: A nice surprise, with some fun music. I'm going to present this to my friends one of these Friday movie nights. 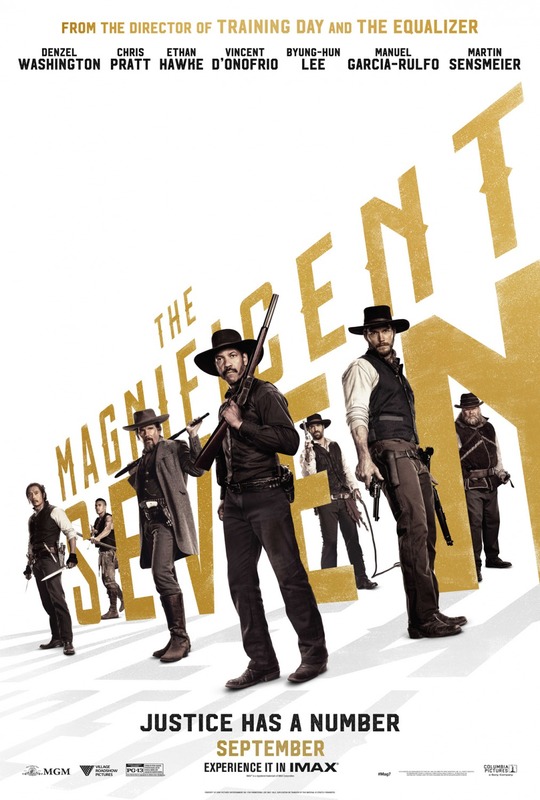 Magnificent Seven: It made some missteps for me, like the final CG shot and title plug-in, and has since evaporated from my memory. It was a fun time at the movies, but in no hurry to revisit, while I would watch 7 Samurai and the original Mag7 several more times. 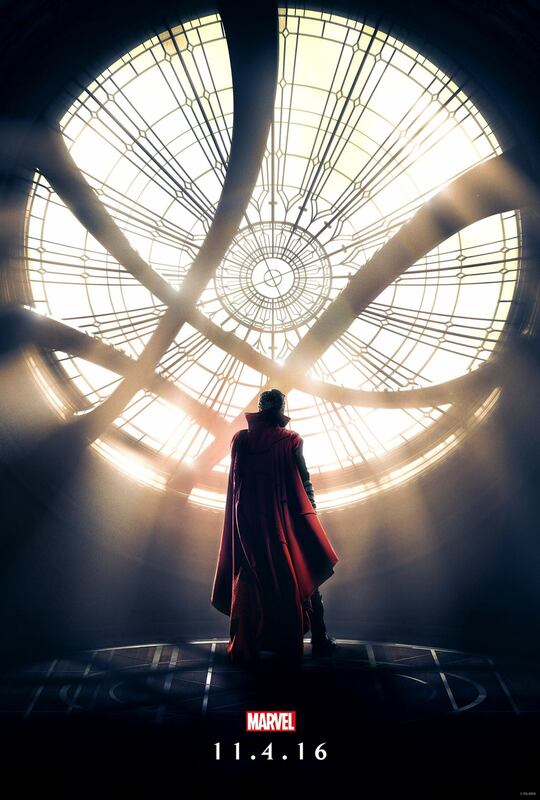 Doctor Strange: It IS Iron Man with magic, and there's nothing wrong with that. Haven't seen Tarzan, but Margot Robbie may insure I see it eventually - I share your opinion of her. Civil War: It was pretty great. No comparison with that other film, really. Jane Got a Gun: Your #4, really! I'll have to check it out. 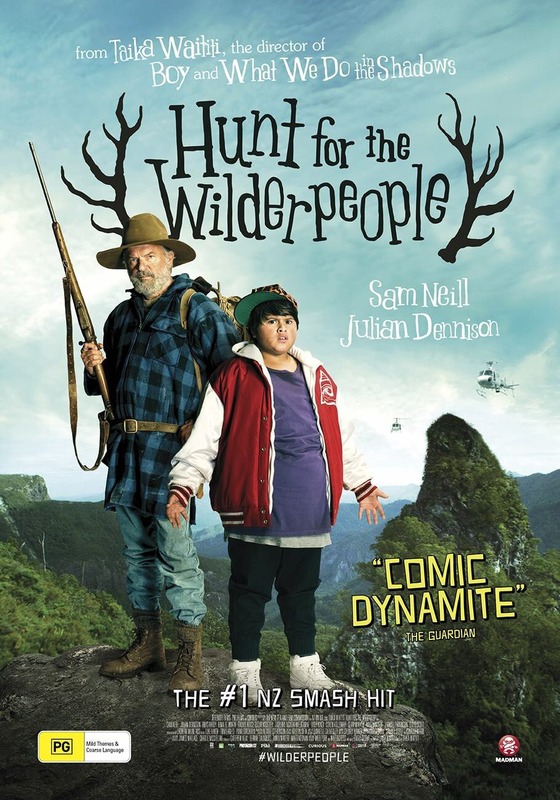 Hunt for the Wilderpeople: Never heard of it, so this too! Star Trek Beyond: By the halfway mark I was smiling my head off. 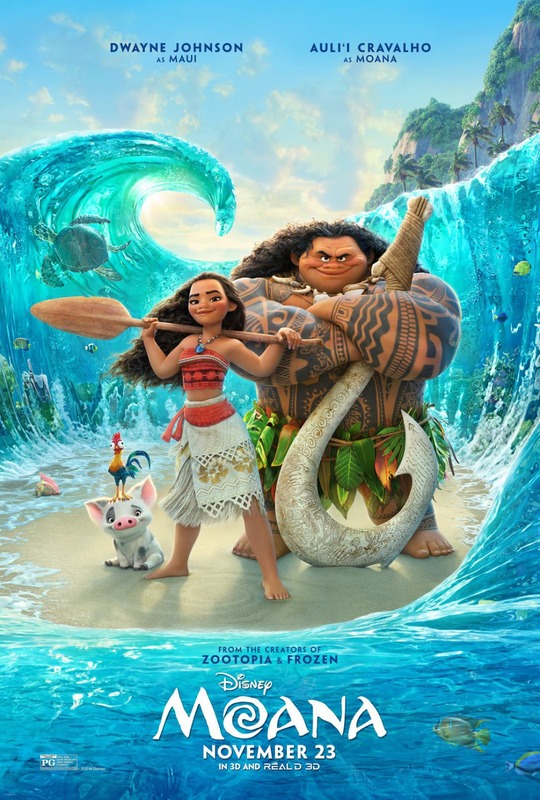 Moana: In my Top 5 of 2016. I started openly weeping during the first song. Really spoke to me, and beautiful to look at. 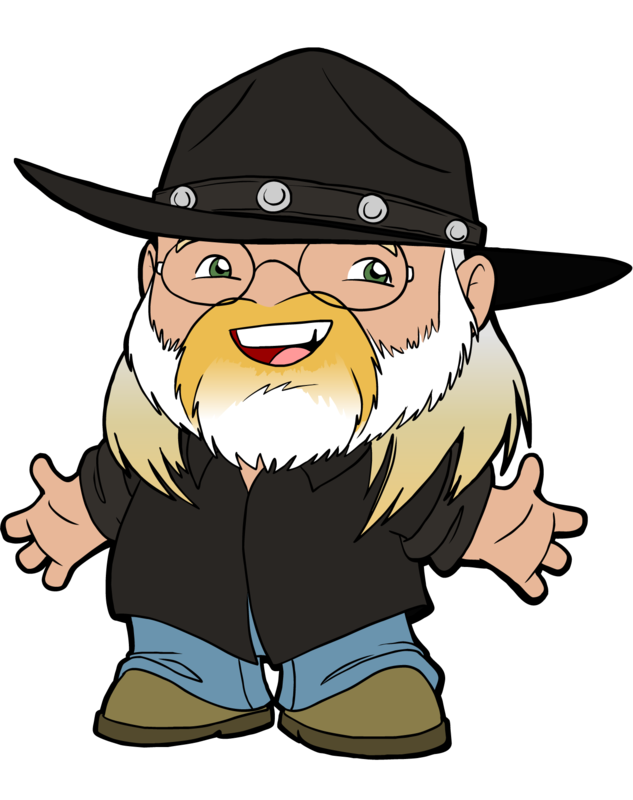 Great round-up as usual, thanks for doing these, Michael. El Vox, from the critics I read, those who didn't like Legend of Tarzan generally questioned its very right to exist. Most of the negativity I saw was directed toward Tarzan as a concept and then spilled over into the rest of the movie. 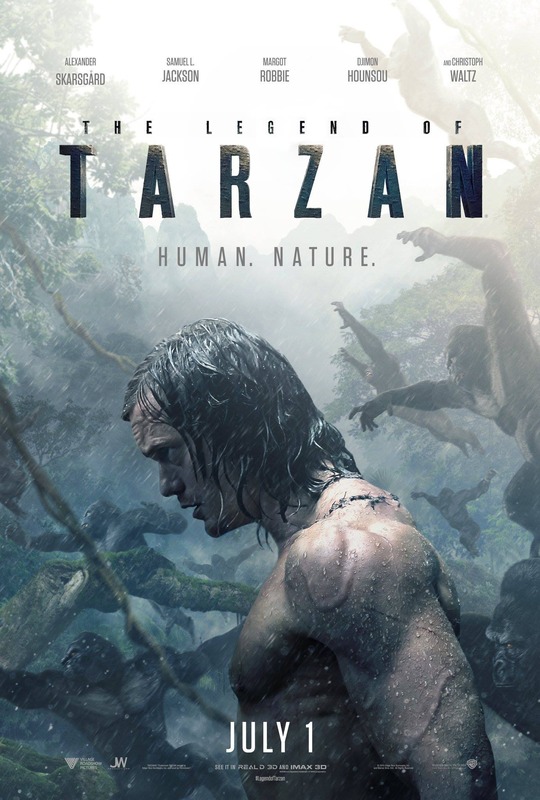 I agree that there are a lot of troubling aspects in Tarzan's long history, but I believe it's a redeemable concept and Legend makes an excellent start in doing that. I liked Don't Breathe and The Witch quite a bit, too. Neither as much as I had hoped to, but they're both effective, cool experiences. And I especially liked 10 Cloverfield Lane. That was super good. Haven't seen Hell or High Water yet, but I hear awesome things and hope to see it in the next week or so. Siskoid, the water works started for me as soon as Moana sings, "No one knows how deep it goes." Some combination of Auli'i Cravalho's voice as she belts that out and the sentiment of that line clutched into my cold heart and pulled out weepy goo. Really looking forward to reading what you think of Wilderpeople. 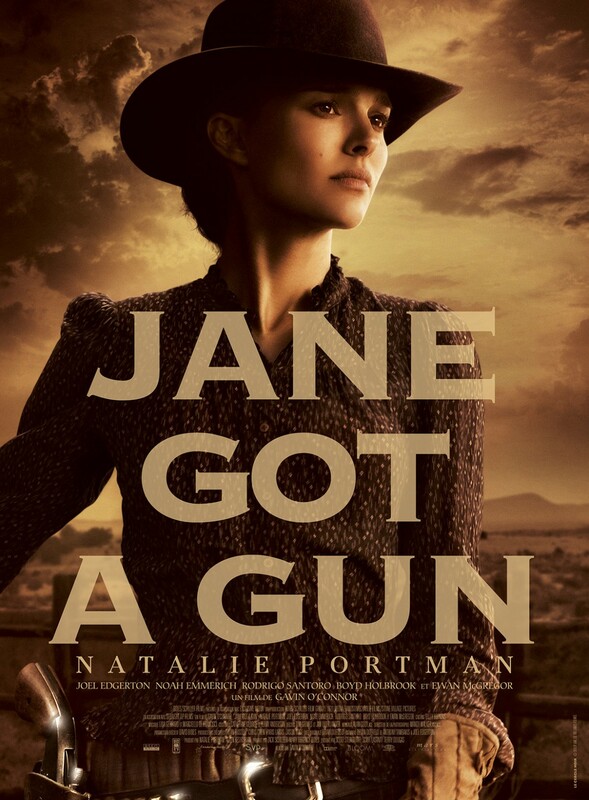 I'm not sure Jane Got a Gun works for everyone like it worked for me (mostly because of mediocre reviews that I've read), but I hope you like that one, too.